When it comes to having work done, you will want to know that your property has been serviced by trained and experienced professionals. 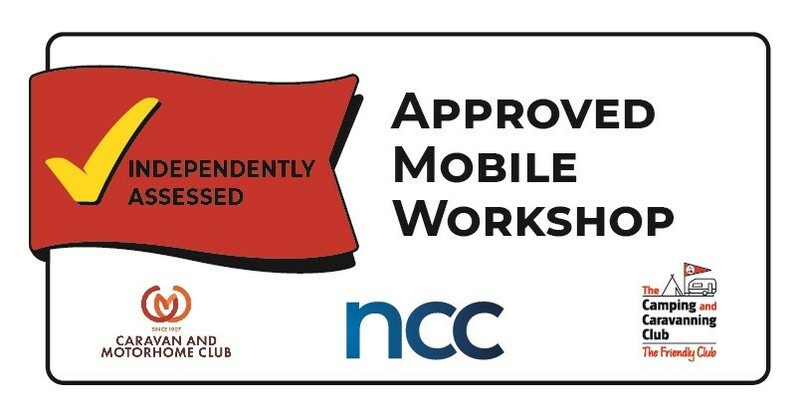 The Approved Workshop scheme is managed by The Camping and Caravanning Club, The Caravan Club and the National Caravan Council Limited. To be accepted on the scheme, all workshops must pass an annual inspection by a team of independent assessors and must comply with the scheme's rigorous standards for facilities and workmanship. Most UK manufacturers support the scheme and accept our servicing as valid to maintain your warranty. Visit www.approvedworkshops.co.uk/scheme-supporters/ to find out if your vehicles manufacturer is a supporter. In addition, motorhomes and caravans need the internal habitation area equipment such as gas cookers, heaters and fridges, safety checked and the Electrical installations - mains and battery - require regular servicing and inspection too. Most manufacturers' warranties and insurance only remain valid if you have an annual service and you will want to protect your valuable investment with a regular damp test which is also included in our full service which takes around half a day to complete.